Olly Douglas is one of our Ski Guides in Flims this winter and having worked for us previously in our summer and winter resorts, as well as our head office in London, he’s well versed on all things Powder Byrne. 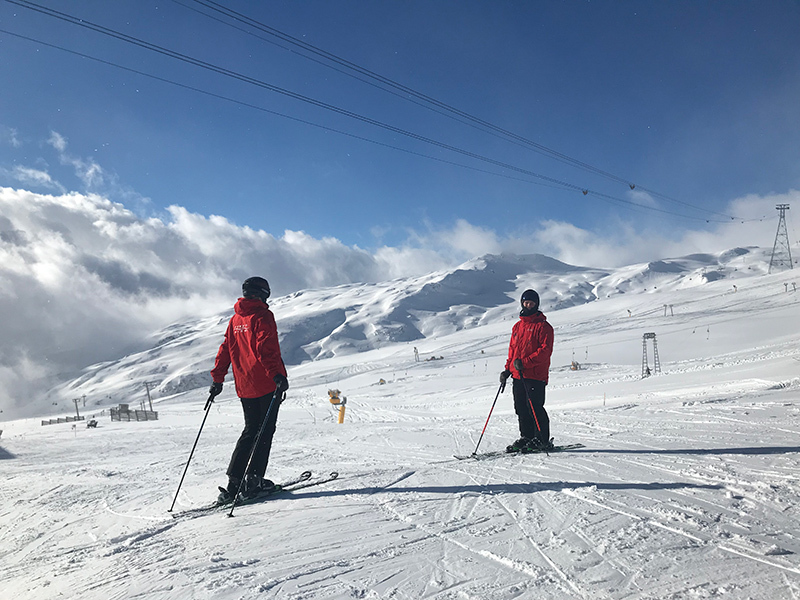 With the new ski season now underway and the recent heavy snowfall getting us in the mood to hit the slopes, we had a chat with Olly about what he is most looking forward to this season. What made you want to work as a ski guide in one of our resorts? I have previously worked for Powder Byrne and thoroughly enjoyed working in each of the Powder Byrne resorts I have been lucky enough to go to. I wanted a role that would combine my love of skiing, meeting new people and getting some management experience. Spending as much time in front of clients as possible was a massive motivation for me, so becoming a ski manager seemed like the best fit. I also really liked how varied the role was and wanted to be part of a great team, which is always the case when working for Powder Byrne. What are you most looking forward to about being a ski guide? The opportunities as a ski guide are so varied. I am really looking forward to getting out on the mountain and spending time with our clients. One of the best parts is the mountain lunches you get to enjoy with the clients. They are a great opportunity to get to know the clients as well as eat at some outstanding mountain restaurants. Where have you skied before? I have skied since I was about 4 years old. My family and I went to La Plagne every year for years. Most of my skiing has been done in France, Switzerland or Austria but I have also been to Spain and Italy. Slovakia was definitely the most adventurous place I have skied, it's a beautiful place but -20 every day is a bit chilly for me. I have a lot of experience on skis. I wouldn't say I’m an expert but I can get down a mountain in one piece. What’s your idea of a perfect ski day? It all depends on the conditions. If it's a bluebird/powder day, I'll be on the first lift and skiing all day. I might stop for a quick sandwich or burger but other than that I won't really stop. If the conditions aren't as good, you can probably find me in one of the restaurants for most of the day. In my book, you can't beat a 4-hour lunch when it's a whiteout day. 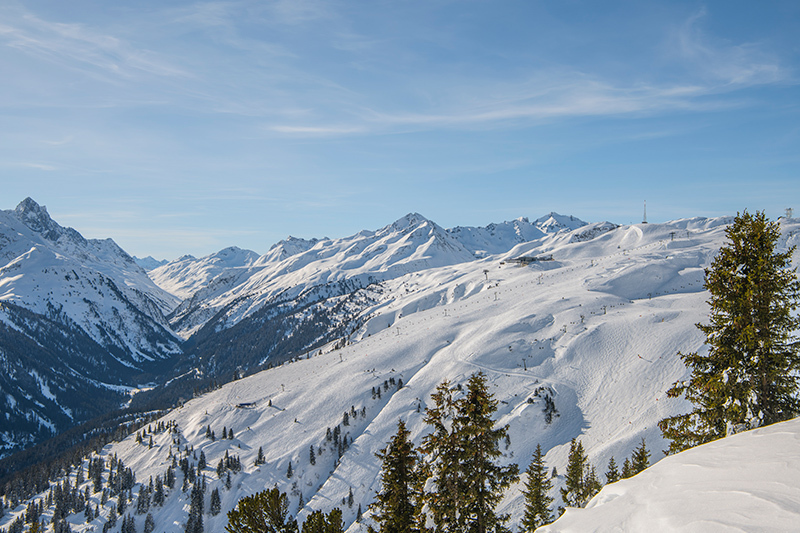 Do you prefer on-piste skiing or off-piste? Again, It all depends. I prefer off-piste skiing but slaloming down pistes is also great fun. The main thing is that I love being in the mountains, which is why guiding is such a great job. I am just as happy skiing on a cruisy blue run as I am racing down a black. Who’s your favourite famous skier/snowboarder and why? Didier Cuche. He is an absolute legend in the skiing world - up there with the best of all time. He won 'The Streif' in Kitzbuhel 5 times, which is regarded as the toughest World Cup circuit race in the world. What’s your favourite mountain lunch? I could eat cheese all day so anything cheesy is ideal. Tartiflette and Raclette are my favourites though. What’s your go-to Alpine drink? Sometimes you can't beat a cold beer on the mountain but if it's chilly I might head to Cafe NoName for one of their famous coffees. What’s your style on the mountain? E.g. baggy pants and jacket or all-in-one? When I am in uniform I will be the first to admit that I do look rather smart and professional. My own style is quite relaxed and baggy but I have been known to pull off a retro onesie in my time too. Call our travel consultants on 020 8246 5300 or enquire online to book your ski holiday - our Ski Guides are waiting!